For anyone who wonders whether they’ve got the inkling to farm, having a chat to this legend will leave you in no doubt. She’s a doer in the truest sense of the word, leading by example and leaving the naysayers to their own devices. 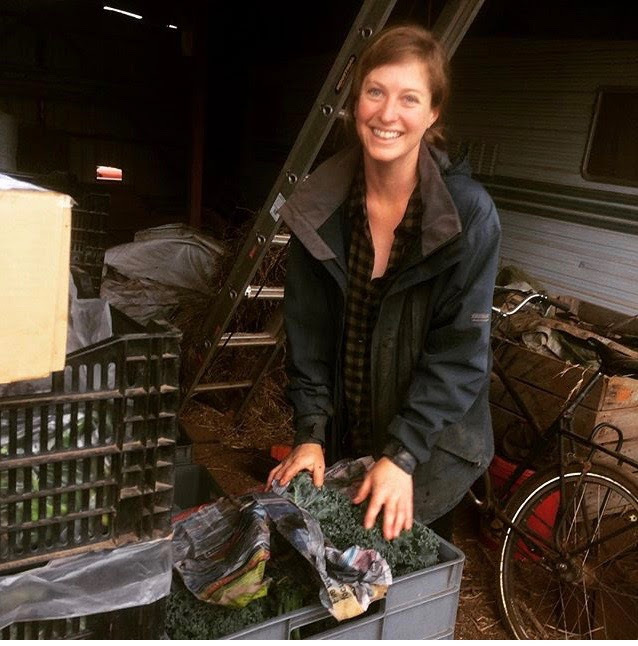 Simultaneously pragmatist and philosopher, Chloe personifies The New Farmer, keeping it real, with genuine humility all the while managing to do it all with a spring in her step and an all-knowing grin. Her take on life is an infectious one, and cripes, can she grow some bloody good veg. What got you interested in FI in the first place? I was looking for ways to get more practical farming experience while living in the city and working. The garlic program was a great fit. Making connections within the farming and food community and working alongside amazing and inspiring people with a passion for food and growing. 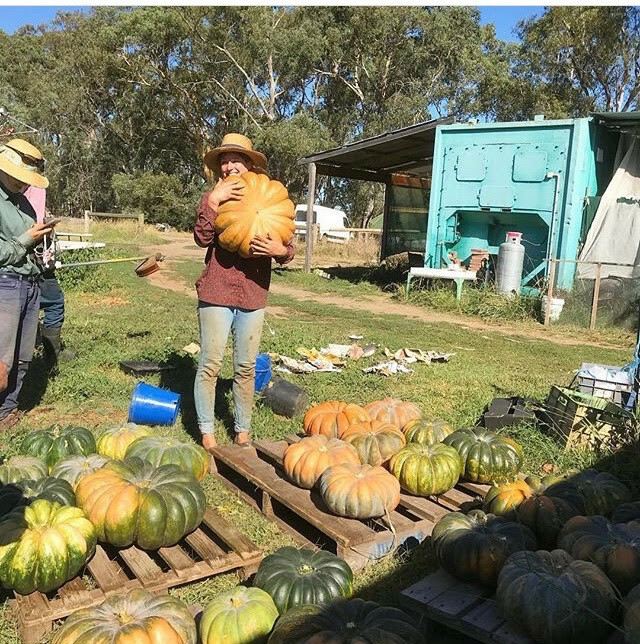 Gaining the confidence of growing a crop through a long season through to harvest and then taking it to market. I was out weeding one afternoon when a seemingly friendly galah flew over to inspect. He posed for a few photos and flew away. A minute later he swooped down and attacked. I fought him off with weeding implements but ultimately hid in the car. He then started trying to break in to the car and I decided to call it a day. I realised when I got home that I was wearing a pink and grey shirt and he though I was a big galah. 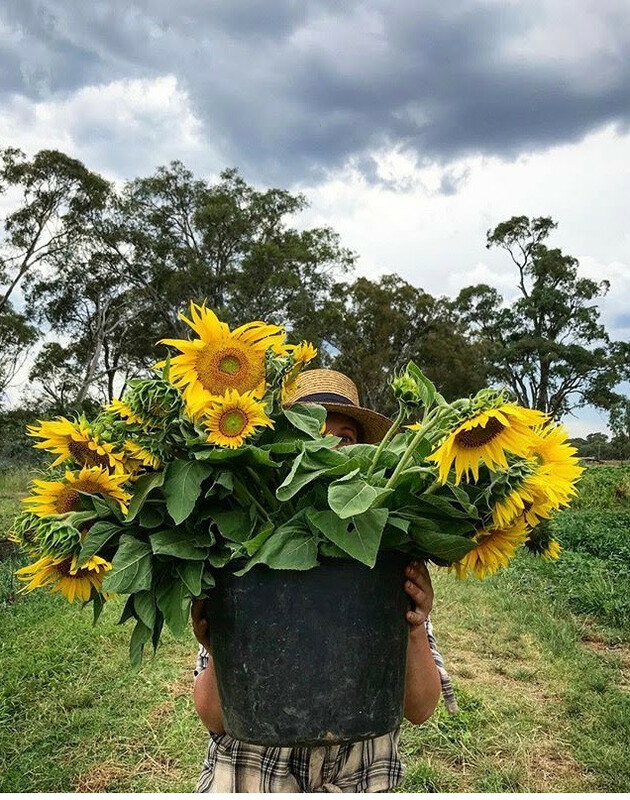 The experience and connections I gained through Farmer Incubator led to me working full time as a farmer at Somerset Heritage Produce growing beautiful produce and selling to restaurants and people at farmers markets. We are currently in planning for me to take over the business. It’s hard and dirty work but I’ve never been happier. Whats your philosophy in farming? Work hard but always take the time to appreciate the (literal and figurative) fruits of your labour. Extra time spent planning and doing a job well saves so much time in the long run. What advice would you give young or new farmers? Talk to everyone and get experience working and woofing as much as you can. Don’t be intimidated, the farming community is one of the most welcoming and sharing places you will ever encounter, we love sharing knowledge, food and good times. What’s your favorite veg and why? It changes constantly. Right now I think it’s celery, we’re getting close to harvest and organically grown fresh celery is a revelation to anyone who has only tasted store bought or conventional. At the height of summer the romance of perfect tomatoes almost makes you forget how much work they are. I love watching kohlrabi grow because they feel like little spaceships landed in the garden. I could go on and will probably have a new favourite vegetable tomorrow.